The only (apparently) relevant SBB albums I now haven't heard are the above-mentioned 'Amiga album' and a cassette-only release from 1978, Jerzyk, although I've no idea whether or not the latter's made it onto CD anywhere. There's also a '79 Skrzek solo release, Pamiętnik Karoliny, but going by these three, I can't imagine what use Skrzek actually made of his Mellotron; the only other band I can think of who used it so little are Novalis. So, the only genuinely poor album I've heard by the band (apart from its opening track) is Welcome, but everything else is pretty much worth hearing, assuming you're into fusion. i'm from Poland and back in the summer of 1981 "Memento Z banalnym Tryptykiem" by SBB was one of my first record purchases ; there were 2 or 3 record companies in Poland at that time and they released everything (i mean everything). the fact that that one sounds different is most likely due to the line-up change - second guitarist came on board. and by the time it was out, the band had split. 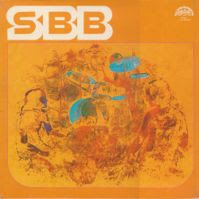 FYI, there is a 22 CD Box Set of SBB currently making the rounds - as 22 individual Torrents. You can obtain the torrent(s) from Demonoid. Poland wasn't very lucky when it came to prog/jazz rock bands. There was only a handful of them and they didn't display too much originality. bands like Grupa Niemen, Niemen Aerolit and SBB recorded good albums for sure and are treated as pioneers of prog in our territory. But people tend to forget about another greater Polish group called Laboratorium that produced a few jazz rock-oriented albums. They are the ones to really look for. SBB is a great Band !!! any chance of re upping this?